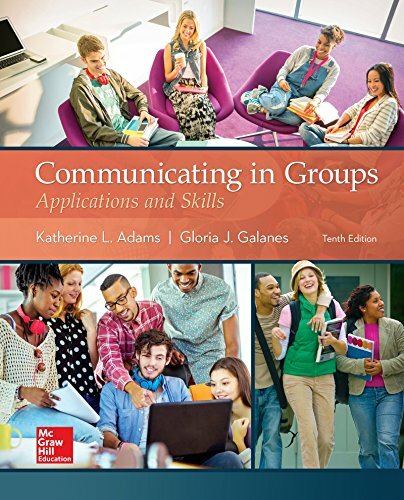 1259870227 -Communicating in Groups provides a fresh look at modern group communication while retaining the foundational information about research and theory that has made the text so popular. Helpful tables and images, as well as boxes showcasing ethical dilemmas, “Apply Now“ situations, and current issues related to media and technology complement the information. Along with the authors’ conversational style, these features make the text accessible and relatable for students, who will come away with a deep understanding of small group communication and the positive impact they can make through effective interactions.